The BEA Scholarship Awards are for eligible Nigerian youths after due process by development partners who have entered into Bilateral Educational agreement with Nigeria. Nigeria equally offers reciprocal awards to citizens of these Bilateral Education Agreement countries: China, Romania, and Cuba. The Honorable Minister of Education hereby invites interested and qualified Nigerians to participate in the Nomination Interview for the 2018/2019 Bilateral Educational Agreement (BEA) Scholarship Award tenable in Russia, China, Morocco, Turkey, Algeria, Romania, Serbia, Japan, Ukraine, Cuba, Greece, Czech Republic, Syria, Macedonia, Mexico, Egypt, Tunisia etc. Age limit is from 18-20 years old. For Undergraduate studies: tenable in Russia, Morocco, Algeria, Serbia, Hungary, Egypt, Turkey, Cuba, Romania, Ukraine, Japan, and Macedonia. For Postgraduate studies: tenable in Russia (for those whose first degrees were obtained from Russia), China, Hungary, Serbia, Turkey, Japan, Mexico, South Korea, e.t.c. Visit the FSB's online application system for BEA Scholarship Award, and supply a valid email address and password on the "CREATE ACCOUNT" form to register. Or if you have registered, access application form using the same email and password through the "Log In" form. Fill out and save your information on each of the sections on the form one after the other. You can go back to any of the sections to edit your information and save again as much as may be necessary before the deadline date. Be informed that all asteric ( * ) fields are compulsory. NOTE: All applicants for Hungarian Scholarship must visit the website: www.stipendumhungaricum.hu before 15th February 2018 to complete the application form online. Print the application form and bring to the venue in addition to 1.0 above. Postgraduate Applicants are required to submit their Academic transcripts and NYSC certificates. The Interview Venues, Dates and Timetable can be found here. The interview would take place from February 19th to February 23rd 2018 by 9.00AM Daily. Applications should be submitted before this date. Applicants are advised to attend the interview at their respective zones of origin. WARNING: Double Entries will be disqualified. Do note that this scholarship application does not attract any processing fee. Therefore, beware of fraudsters! how can I forward my certificate to the secretary? @ Ikenna Adimekwe,pls which link are u talking abt cos I also rilli need 2 knw hw am supposed 2 forward my certificate 2 the Director/secretary. For interview dates and venues see and download the Full BEA 2013/2014 Scholarship advertorial. On the website, the instruction stated that a Project thesis should be presented. I want to know if this applies to masters.. also i had 4 distinctions and a second class upper division. i also want to know if the 'minimum of 4 distinction' applies to the postgraduate students too. Pls can anyone testify on the reliability and effeciency of ths scholarship? It was a complete insult to ambitious and serious Nigerian students under the last administration.there was no iota of transparency and people were just taken for granted. I am a living witness. However, lets see how it turns out under this new govt. i dont hv all d required papers,like d police clearance,cn i still go 4 d interview? The Police clearance is an essential part of the requirements. I advise you get one ASAP. It isn't that tedious to get. You will need to contact the Federal Scholarship Board at the address and/or links provided in the above article for information on specific dates. When will the result of this scholarship(BEA) will be out? hi,i jus grad. high skul can i use my 2013 WAEC result? hy,pls can sme1 tell me weda dis scholarship will still be on by nxt year.if yes,can u give me d details? hy,pls cn sme1 tell me weda dis scholarship is still on.if yes,can u give me details abt it? I have started filling the form some days back, but I can't access the website anymore, what shouldIdo pls. Hello, the website is still very much accessible, i just visited it now. I think its because of heavy demand during the day by students across the country trying to register/apply. I'd suggest you access the site in the night when demand is much likely to be low. Only second class upper can apply? I have registered but I can't log in. pls is the police clearance needed before or after the interview? It will be "on request"...that means it can be requested for at any time, or it may even not be asked for. BUT better that you have it ready at all times, in case you are asked. Hi, its most likely due to heavy traffic. Just log on during the night and try it out again. Cheers! Pls when will that of 2015/2016 start? Hi when will the 2015/2016 application start? Would there be Accounting courses be able to benefit? Please when is the date for 2015/2016? Is there provisions for pharmacists with B. Pharm for PG studies? Please reply. Thanks. Who knows when that of 2014/15 academic session commence? Please, is UK among the countries covered by this scholarship? The eligibility criteria listed above is VERY CLEAR on this particular issue. Your first degree MUST be at least a 2nd class upper credit. Regards. Is UK covered with this scholarship? What next now i've sent the application? 1. Is state of origin certificate the same with Local Govt. Identification Letter? If no, where can I get it? 2. Is someone born 27th Oct. 1992 eligible? 1). STATE of origin does sound very different from LOCAL GOVT of origin; however you may want to clarify this detail with the Federal Ministry of Education. 2). Upper age limit for undergraduate applicants is 22 years. So if you will be 23 years in October, it means you are still 22 years at present and therefore eligible. I have completed the Application but my Nysc discharge certificate would be ready in July because am still serving . I'm sorry @Nkem but if you're still serving by the deadline date, you would not be qualified. However, since July is so close to the deadline date, I suggest you contact the Federal Ministry of Education to confirm this. You need to visit the official website to do this. The interview venues are inaccessible on the official website. Please, how do we get to know before the dates? from simeon ubelejit. pls can someone that has 6B but English not inclusive apply? plz when is the list coming out? When are they going to release d results?, through which means?. Pls will such scholarship still be for the 2015/16 applicant? Pls will there be same scholarship for 2015/16 session? Pls will there be such scholarship for the 2015/16 session? in ukraine clinical ordinatura in obstetrics and gynecology is 2 years minimum, is that registrable with mdcn? Thanks Sir Ikenna but their website is not working. @Progress, if you can read, please read the article above and know that the 2015 applications for this scholarship call ended since 8th March 2015. Thus their website CANNOT be working at this time (September 2015). 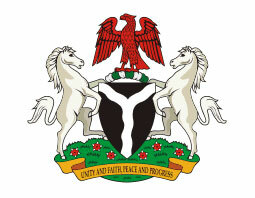 @Charles we are awaiting announcement from the Federal Ministry for commencement of next academic year's applications. Whenever they announce it, we will update this post. Regards! Please when will the application begin? @Ezeome we are all awaiting the call from the Federal Ministry of Education. We do not know why the Ministry has not yet made the call, however, immediately the call is made, we will update this scholarship article. Please any update on the scholarship? Please wen will the scholarship application for 2016 begin? @Ezeome Charles, this scholarship offer has just been announced for 2016/2017 by the Federal Scholarship Board; and we have immediately updated it. Goodluck in your applications! Please I am having challenges with filling out the form online. When I click submit after the first stage it will tell me to choose state of origin, local government of origin, date of birth, fg occupation. I have already entered them but the site keeps throwing back to those points. What do i do? the web page keep refering me back to input my state of origin, local government, choose date of birth, fg occupation and i have done all those things and it keep throwing me back each time i click on submit on the form page. What do I do to overcome that? @okolie, I do not know what could be responsible for your complaint because other students have been applying successfully. Could it be that you apply during heavy traffic periods? Why not try to apply at night when the traffic should be less. If it continues to happen, I suggest you confirm from other students who have applied to assess if it's peculiar to your browsing system which may necessitate a change of browsing system or browser. Good luck! @Fortune, under METHOD OF APPLICATION, there is a paragraph thus: "Then, supply a valid email address and password on the "CREATE ACCOUNT" form to register. If you have registered, you can access the application form using the same email and password through the "Log In"
Yeah, thank goodness it has finally worked for you too. @Ezeome kindly ignore that statement as we've confirmed it no longer applies. It was an oversight in the initial information sent to us. We'll soon update our information too. Ahmad, I am experiencing similar challenge. Have you found a way to solve it? People always get discouraged whenever a benefit is coming from the Federal Govt. This is because of the politics they usually put into it. Can anyone tell us if he has witnessed any transparency in this process please. This will serve as encouragement for many. Hola, when will 2017/2018 application commence? HELLO..Plz when will 2017/2018 application commence??? Plz sir! I have everything complet with 6B in mah waec but I have C6. In english am I eligeble plz...? I have 5 distinction in my WAEC while in English subject I have credit . Am I eligible to apply for scholarships pls ? please this Hungarian scholarship. please i hope is meant for those that put Hungary as choice of their country. Hello, please I am still serving and my NYSC discharge letter will be available by May, pls am eligible for the interview, I have done the registration but to go for the interview is the matter now? Please take note that distinctions in the five subjects must be relevant to your course of study English included. please are we suppose to go for the interview before they short list people or only the short listed candidate that ll go for the interview. I can't access my account for printing even at night, why? Pls want to know if d interview result 4 d 2017/18 BEA scholarship is out. Please when do you think the results would be out ..
plz, kindly display the BEA result 2017/2018 online. I graduated with a second class lower, am I eligible for the post graduate scholarship??? I also have 2.2 Degree, I want to know if I will be allowed the participate in the interview. I applied for 2018/19 session. Pls when will the result be released or does anyone know how long it would take? I can't get access to the website how do we apply? Have you read through the 2017-2018 scholarship call above? Applications ended since February 2017. You have to wait for the next call for 2018-2019. Read the calls before commenting please. What about turkey candidates.I am of the candidates. I heard Hungarians result is out last month. What is now delaying other countries too.I pray we find favour sha.but when is the result coming out. when will they contact us for canada? Please i need assistance. I just wrote my May/June SSCE and the results are out. I made 5 As and 4 Bs. I want to study medicine and surgery because i want to really assist the needy and set up charity organisations with my income when i become a medical doctor. How do i go about the scholarship .Please i will be glad if this comment is attended to as soon as possible. Please, are HND graduates not included in these scholarship offers? The requested URL /fsb/bea_2017/index.php was not found on this server. It is so frustrating. This has been happening for months now. Please ,if there is a way to get around this tell me because I desperately need help. pls,when are the nominees for the fsb scholarship to morocco leaving? The LGA drop down menu is not showing anything and so whenever I save an error message pops up. Please how can I get the exact location for the interview? Hello pls how is this scholarship run? Do you have any idea the processes that go into it? Do you also know of anyone who has benefited from such? Also I am from anambra but born in Lagos ,can I attend the interview under Lagos? I also have a C4 in maths, med ND surg,can I still attend? I have applied for this scholarship but could not submit. Has anyone being able to submit the application online. I have clicked submit severally but the preview continues to give a not submit status. Pls am having C4 only in chemistry and i applied for surveying and geoinformatics. I have Bs in maths, english,physics,biology,geography,agriculture and As in Civic Edu. And computer sci. Am I eligible for the interview in d course applied? Hello, I want to know if I can apply for this scholarship before I finish my NYSC, as I have not yet started it. Can I start the process during my NYSC program next year, or do i have to wait for completion?